The Galaxy S4 is rounded and pebble-like and is mostly made of plastic with a removable cover which is available only in black and white. 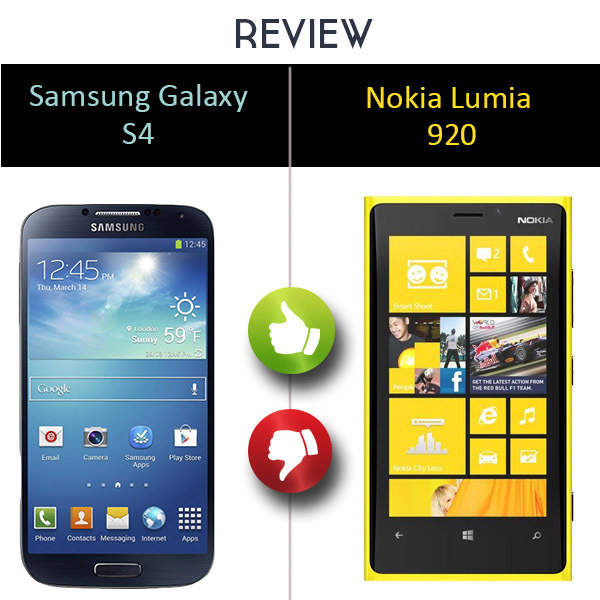 While the Lumia 920 comes in bright yellow and has got rounded edges with one-piece polycarbonate body. 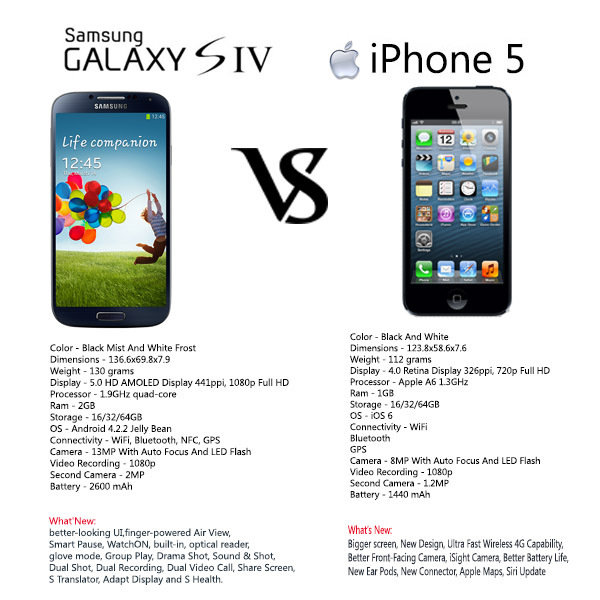 The Samsung Galaxy S4 has 5 inch screen and measures 69.8 x 136.6mm which is 7.9mm thin and 130g light. While Nokia Lumia 920 is chunkier, at 71x130x10.7mm with 4.5 inch screen weighing 185g. It has got the resolution of 1280×768 while the S4 has got a Full HD resolution of 1080×1920. The 920 has got an IPS LCD screen with an anti-glare filter. It has got the pixel density of 332ppi while the S4 has got a whooping of 441ppi. The 920’s screen is curved and like the Galaxy S4, it also works if you’re wearing gloves. The Galaxy S4 display has Super AMOLED technology and Corning Gorilla Glass 3. The Lumia 920 runs Windows Phone 8 and has a 1.5GHz dual-core Qualcomm Snapdragon S4 chip, backed by 1GB of RAM. While the S4 has got Android Jelly Bean 4.2.2 and has a 1.9GHz quad-core processors and 2GB of RAM. The Galaxy S4 has got 16GB, 32GB and 64GB of storage with a microSD card that can be extended up to 64GB while the 920 has 32GB of storage but doesn’t have a memory card slot. The Galaxy S4 has got a 13 megapixel rear camera that can shoot video in Full HD 1080p quality. It also has a 2 megapixel camera that can also record 1080p video. While the 920 has an 8.7 megapixel sensor and optical and has got City Lens that can also shoot 1080p video. It has got Carl Zeiss lens with optical image stabilization. It has also front facing 1.2Mp camera. The Galaxy S4 has got a massive and removable 2600mAh battery while the 920 has got non-removable 7.4Wh battery pack. The terrific change and revolutionary steps that are been taken in the field of telecommunication are amazing and noteworthy in a brilliant way. From telephones to mobile phones the development was slower but from mobile phones to smart phones the time period was very shorter. With the beginning of the market of smart phones after the introduction of iPhone in the market was incredible and amazing. It was never dreamed before that a simple electronic instrument which was used for the sole purpose of communication can be so much useful and amazing. Every phone has a Sim Card which can be considered the working unit of every phone. Sim Card are the chip looking item which catches the mobile service network signal and thereby provide the mobile service network to the user and using Sim card only a person is able to use the mobile phone for the communication. It often happens that a person may be using more than one mobile service and so it requires holding and handling two or more Sim Cards as per the mobile service networks that he or she is using. Handling Sim cards is not an easy job. After the invention and beginning of the market of smart phone it seemed that the development in the field of mobile phones have reached saturation point but soon this misconception was broken by the discovery and release of Sim Free Mobile Phones. 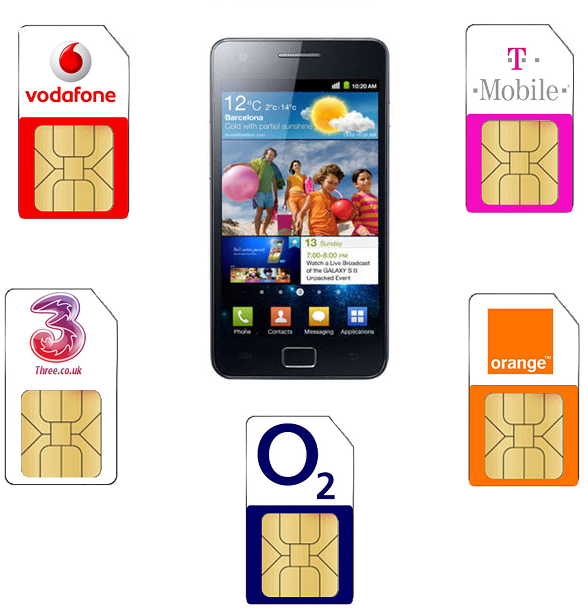 Sim Free Phones are considered as the future of mobile phones. Using a Sim Free Phones a person does not require using a Sim card for using a mobile service network. Furthermore, Sim free Mobile Phones also gives facility to change the mobile service network if a consumer is not satisfied with the present network which he or she is using and thereby forces the companies to provide quality service in networks.